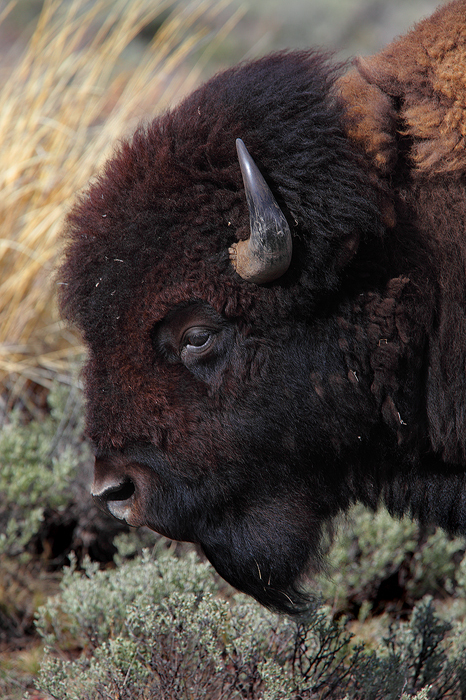 With its massive head and forequarters the American bison is a truly formidable beast. Bison are capable of withstanding some of the harshest winters on earth, but have suffered greatly at the hands of man. Now, Yellowstone is home to one of the few last places where bison herds roam freely in the wild. This animal, which was once almost wiped completely off the earth is still persecuted when they leave the boundaries of the park in winter in search of lower ground.